Home > Terminology - Financial Planning > Open New Pension Account use Aadhaar eKYC..! 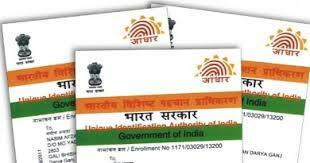 E-authentication technique using Aadhaar eKYC services is legally valid authentication. E-authentication technique using Aadhaar eKYC services is legally valid authentication. New subscribers of National Pension System (NPS) will not have to submit physical application for opening the account in case it is e-verified by through Aadhaar number. 1. With e-signature facility, a large number of people having Aadhaar number will be able to open NPS account without needing physical documents. 2. Pension Fund Regulatory and Development Authority (PFRDA) had allowed acceptance of eKYC as a valid process for KYC verification. 3. E-authentication technique using Aadhaar eKYC services is legally valid authentication. 4. In case of account opened through eKYC, the points of presence will send the soft copy of the application form along with the supporting documents to the central recordkeeping agency. 5. The points-of-presence will adhere to the requirement of KYC details of the subscribers to Central Registry of Securitisation Asset Reconstruction and Security Interest of India (CERSAI). 6. Subscribers can open eNPS account for Tier I and Tier II and make initial and subsequent contribution to the account. 7. For opening the account online, the subscriber will have to provide mobile number, email ID and an active bank account with net banking facility. 8. The subscriber must have an Aadhaar (with a mobile number registered with Aadhaar) and a PAN card. 9. In case, an applicant opens individual pension account with PAN, the activation of the PRAN is subject to KYC verification by the empanelled banks.